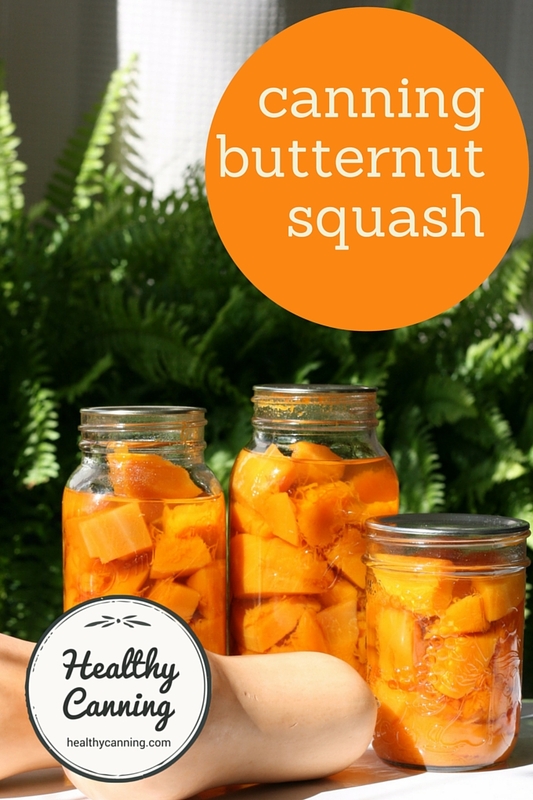 Butternut squash is the most popular squash for home canning. 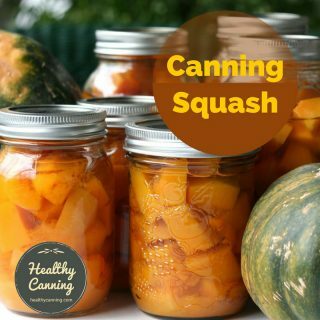 The reason is that all winter squash must be peeled and cubed before canning, and butternut squash just happens to be the easiest winter squash to work with from both aspects. You can just peel the butternut squashes with a vegetable peeler, then cut in half, clean out the small cavity, then use a French knife to chop into relatively uniform cubes. Don’t worry about any pale green lines under the skin; they will disappear during processing. The seeds are an incredibly good snack food when roasted; many people prefer them to pumpkin seeds. 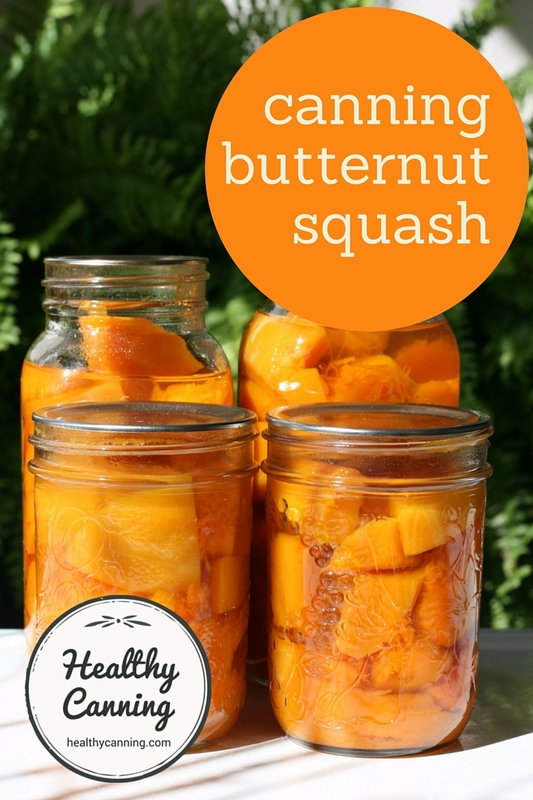 You can use home canned butternut squash as a vegetable, or, in desserts such as pies. 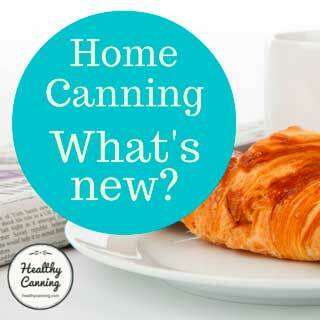 See here for canning other winter squash, and pumpkin. 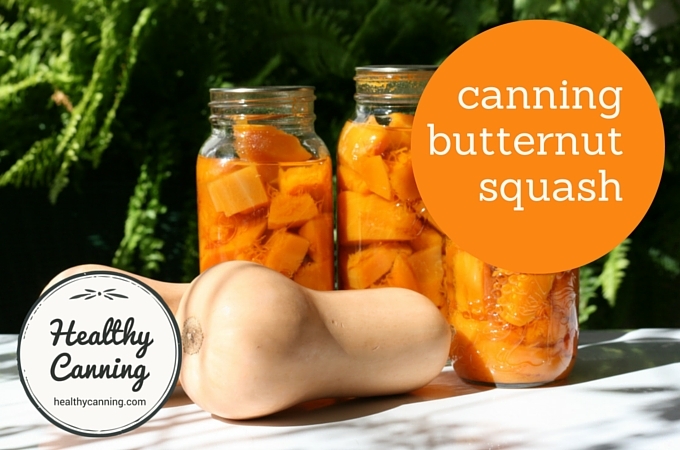 On average, as a very rough guideline, expect to need about 1 kg (2 1/4 lbs) of fresh, unpeeled butternut squash per 1 litre (US quart) jar of canned butternut squash. A drained litre (US quart) jar holds 750 g (1.6 lbs) 0f blanched butternut squash cubes (approx). A drained half-litre (US pint) jar holds 350 g (12 oz) of blanched butternut squash cubes (approx). Wash, peel and seed the butternut squash. Wash the butternut squash before peeling, so that you aren't driving surface bacteria into the flesh as you peel. Don't blanch the butternut squash cubes for longer than 2 minutes, or it will break down a lot. Tip! If you are doing a lot, it can help to prep all the butternut squash cubes the day before and store overnight refrigerated in large bags. 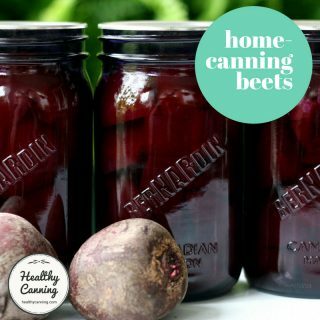 The next day, bring out of the fridge about an hour before use to warm up, then proceed with the blanching of it. 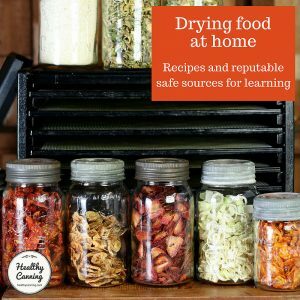 You can “double dip” and get an extra bonus product out of your work besides canned butternut squash — namely, roasted squash seeds. Roasted butternut squash seeds are very good eating. 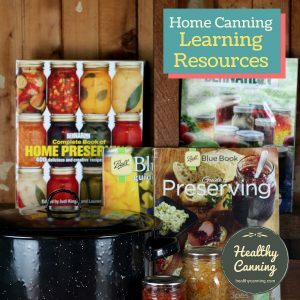 There are two varieties of butternut squash for home canning. 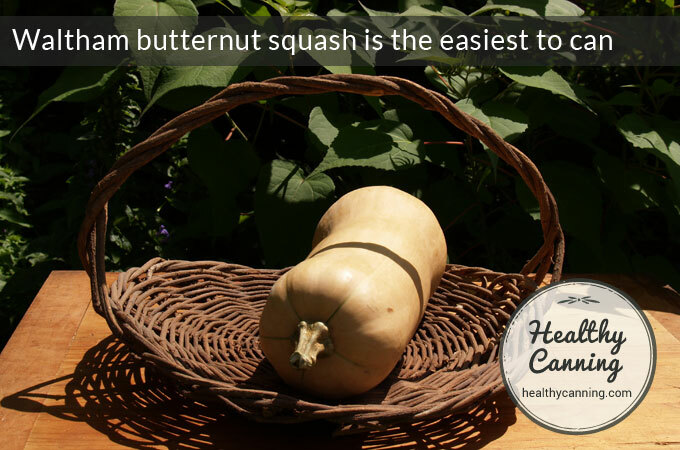 The first is the original butternut squash, which often has a curvy, narrow neck. The other is a more modern variety that is straighter, named Waltham butternut squash. You may can either interchangeably; they both taste the same. I’ve looked through a lot of Butternut Squash soup recipe’s , but I haven’t found any that substitute frozen butternut squash for fresh. 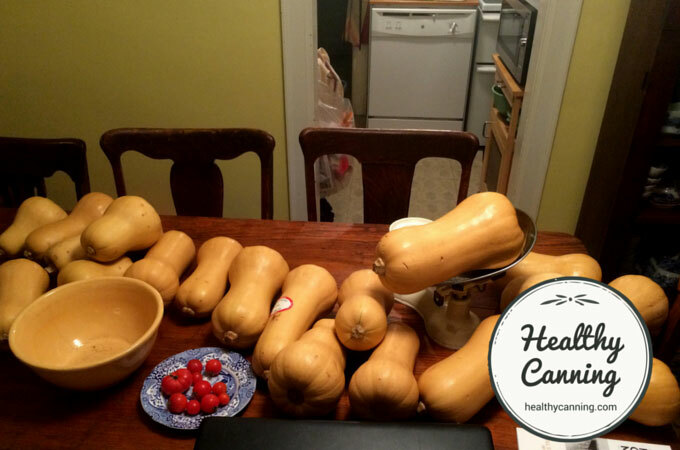 I have a lot of frozen butternut squash and would love to make soup and can it. Help! 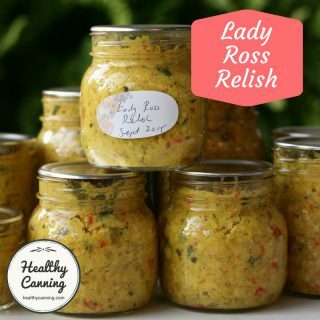 Ball has released a pressure canning recipe for Thai Squash Soup which is in their All New (2016, p. 284) and which is also online here: https://www.freshpreserving.com/thai-coconut-squash-soup—ball-recipes-br3637.html . 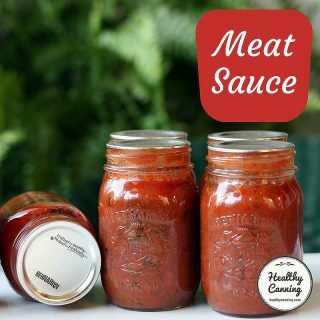 You could leave out the seasonings to make it plainer. There is a possible catch. You didn’t say how you froze it, mashed or cubed, and the recipe does specify cubed which would be to allow correct heat circulation in the jars, and mashed would impact that. Another possible catch is whether Ball is okay with starting from squash cubes that have been frozen. 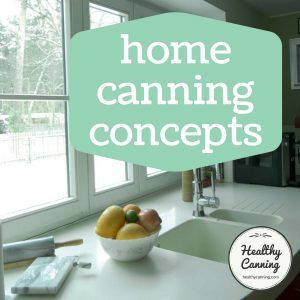 The recommendation for freezing squash in cubes is to blanch it first (https://nchfp.uga.edu/how/freeze/squash_summer.html), and that could make it softer than Ball is expecting; they might break down in the canning and cause density issues. So, I’m going to have to suggest that, if that recipe interests you, that you should contact Ball and chat with them about it and see how it might suit your purposes. 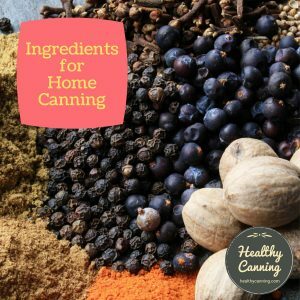 But, as of winter 2018, that’s the only tested recipe from a reputable source that I’m aware of for a home-canned soup with winter squash in it. I’d love if we had more tested recipes for squash soup, maybe even a puréed one, but right now, I think that’s about it! I plan to make soup containing squash and apples. 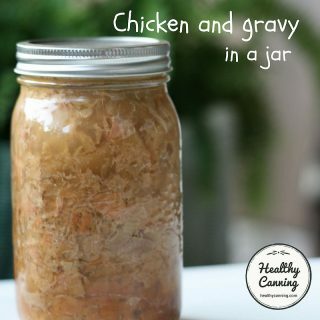 What proportion of apple to squash would provide enough acidity that I could can the results in a hot water bath instead of a pressure canner? 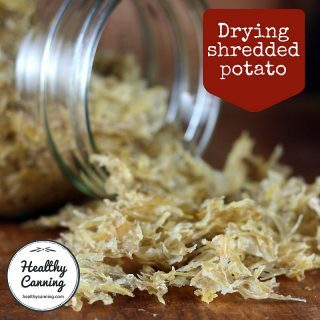 Really, you’d need to hire a process specialist to determine what the recipe would need to look like to be safe and what processing method should be used. https://www.iftps.org/about.html I’m not sure it’s likely though that you’d get any answer saying hot water bath is fine. 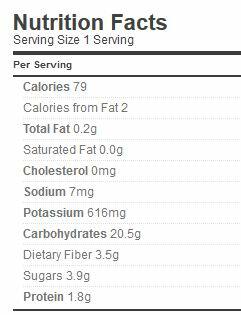 If you want, you could ask a Master Food Preserver if fruit can be included among the ingredients in the USDA Soup recipe. 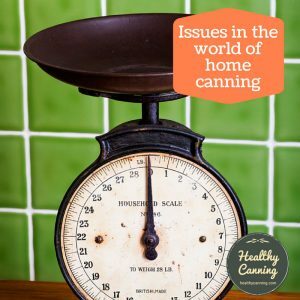 https://www.healthycanning.com/usdas-your-choice-soup-recipe/ But that does require pressure canning. You could freeze the soup instead. Or, can the two items separately as per the recommendations for each, then just make your soup upon opening. I don’t know of any other recommendation I could pass on to you based on the literature that’s out there. 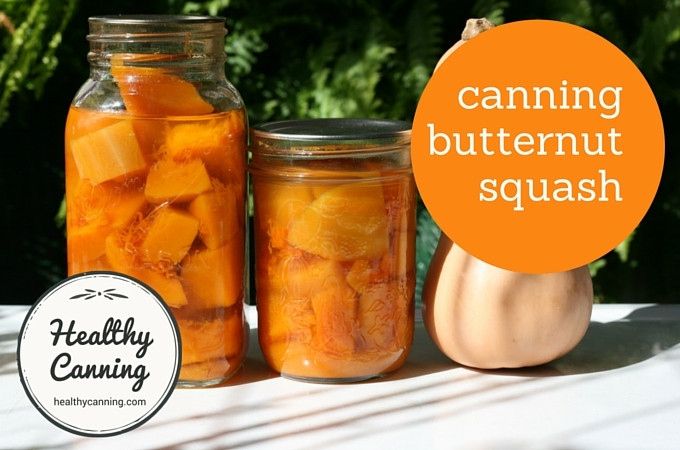 I canned a bunch of butternut squash this year, as always. For some reason, 2 of the jars have bits of floating white/grey material in the jars. The rest seem fine. Any ideas what it might be? Do you think it’s safe? When you hot bath butternut squash, Do you add warm water to cover the pint jars & then boil for 55min? 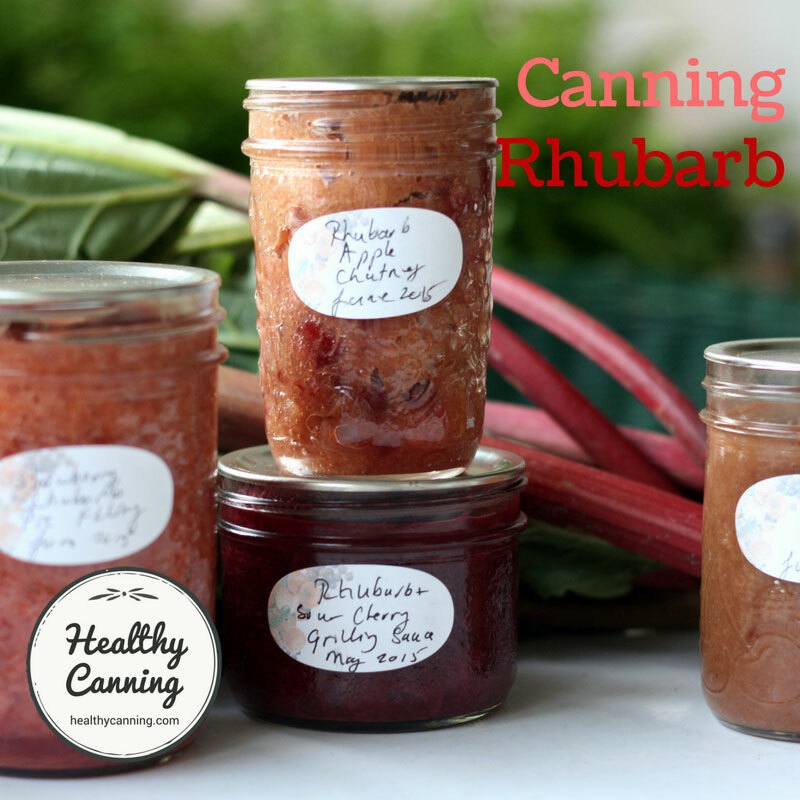 It has been awhile since I have canned. 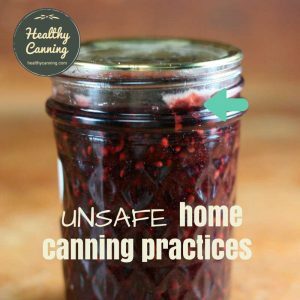 I do not use a pressure canner, just a hot water bath method. Attempting to water-bath can plain squash runs a high risk of botulism, and who the heck wants to do that just for some lousy squash? It doesn’t cost that much to buy.